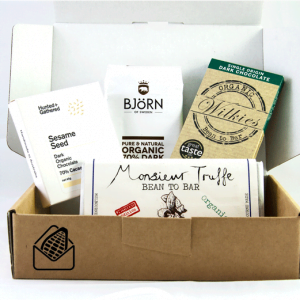 Our mixed box is for people who love exploring different types of chocolate. You will experience the best of both worlds, sourced from around the globe. 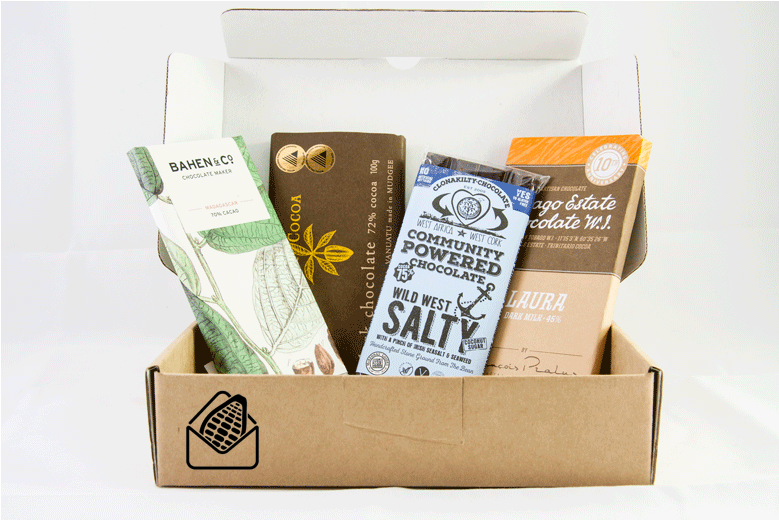 Each month you will receive 4 full-size bars of the worlds best bean to bar chocolate delivered to your door. You also receive 4 tasting cards with the stories behind each bar and producer, and room to record your tasting notes. 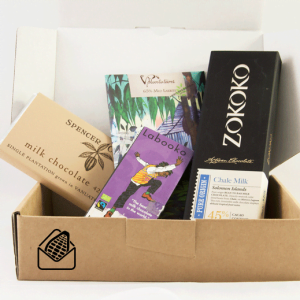 These chocolates are special – they are made in small batches by artisan chocolate makers all over the world who care about every step – from sourcing the cocoa beans to hand wrapping each bar. 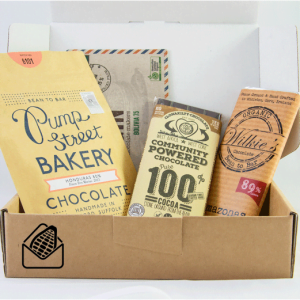 As well as receiving 4 full size bars of the worlds best bean to bar chocolate we will also send you the stories behind the bars – where the beans came from, who made it, how it was made and why we think it’s special. These are not the chocolates you find at your local shop – most will have limited availability in Australia and and many are only available through our subscriptions! At least one bar each month will be from an Australian producer – we want to showcase the great chocolates made by small batch, artisan chocolate producers right here on our doorsteps.